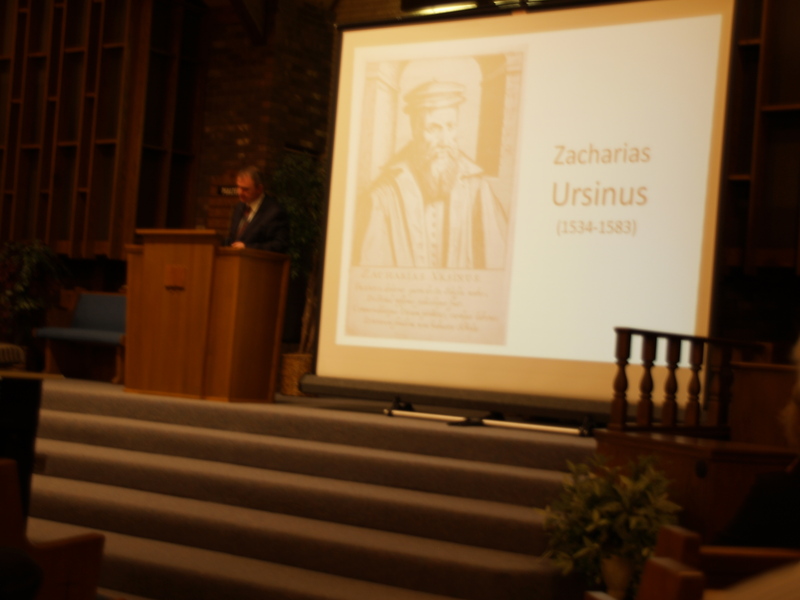 HomeCurrentNewsDenominationalSeminaryGreat Start to PR Seminary's Heidelberg Catechism Conference! 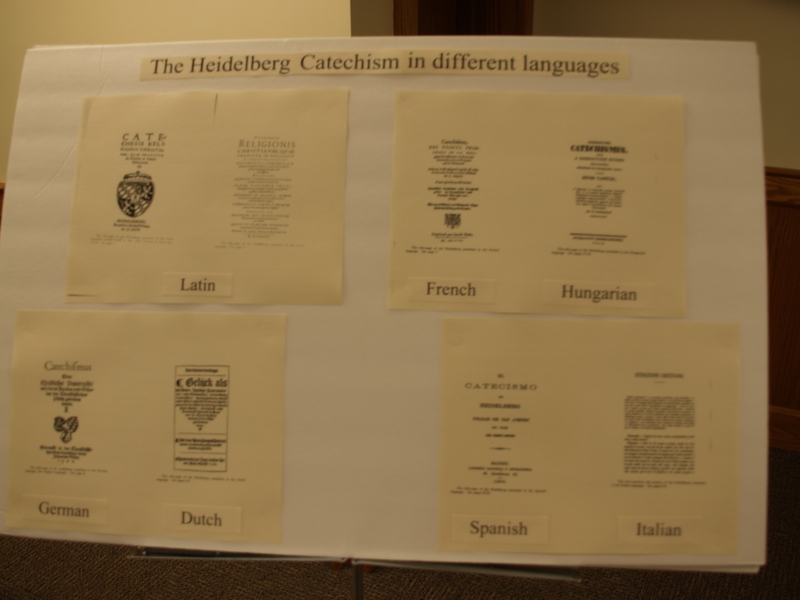 The PR Seminary had a great start last evening to its conference celebrating the 450th anniversary of the Heidelberg Catechism (1563-2013). And tonight we anticipate a great continuation of the conference! 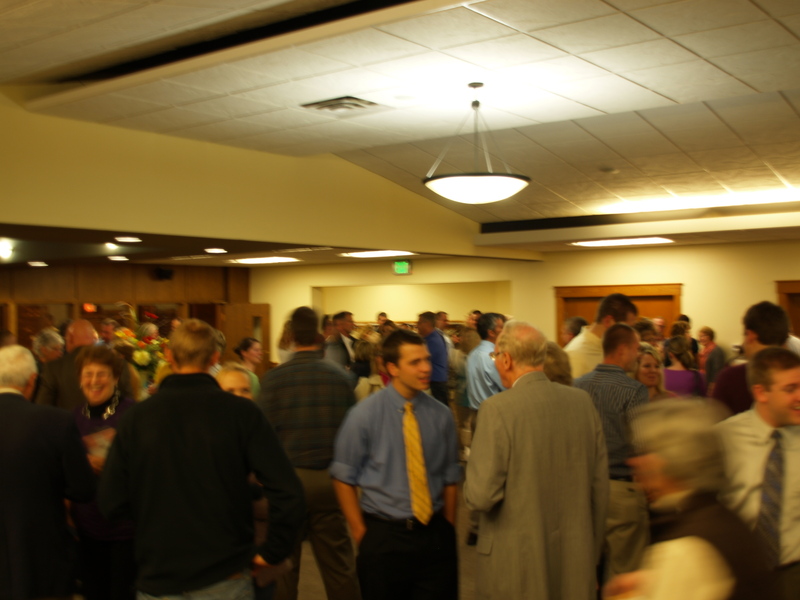 Thursday night we had a fabulous crowd of people - it even over-flowed the sanctuary of Hudsonville PRC - and we learned that there were over 230 people who tuned in to the live-stream broadcast - amazing! We here at the Seminary and the committee of Hudsonville PRC were greatly encouraged by the turnout. 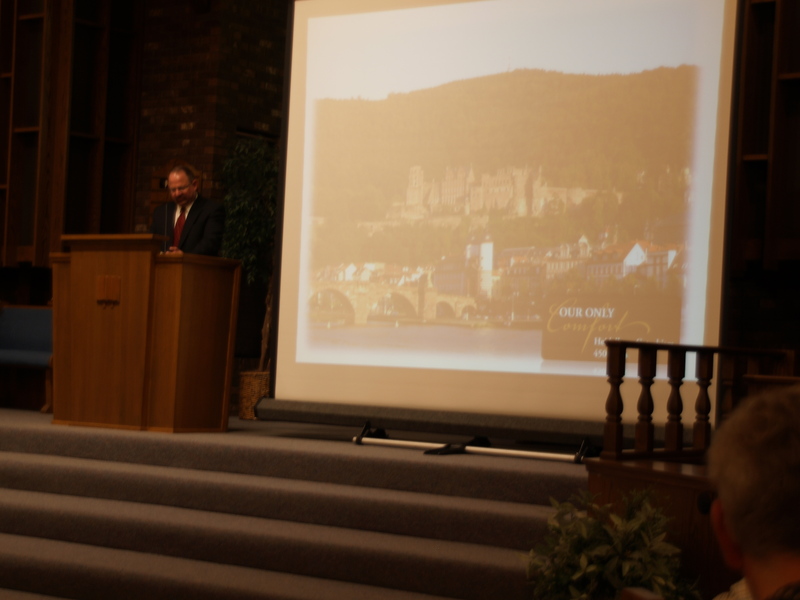 Dr.J.Klautke, professor at the Academy for Reformed Theology in Hannover, Germany and pastor of the Confessing Evangelical-Reformed congregation in Giessen, Germany, and Prof.R.Cammenga of our Seminary both gave stirring messages, covering respectively the history and purpose of the HC and its grand theme of comfort. These two speeches have already been posted on Hudsonville's Sermonaudio page, so click on the link to download and listen to these. 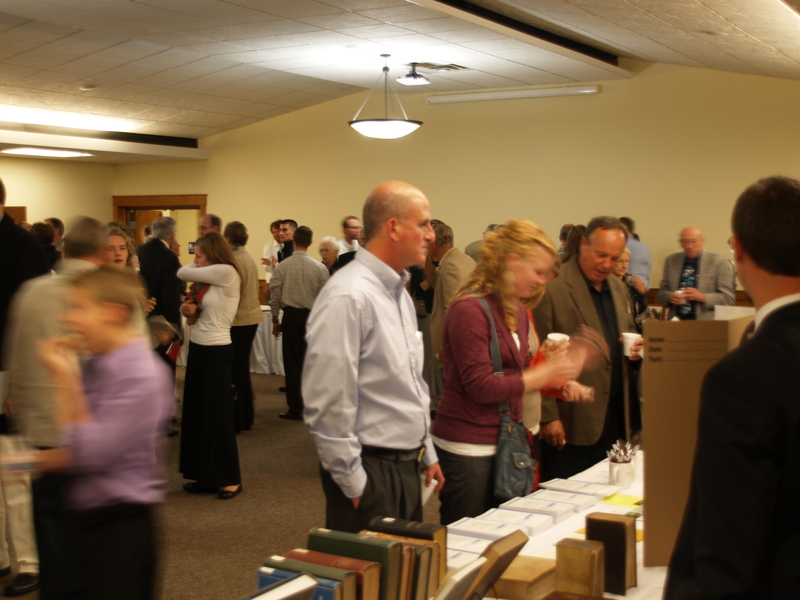 Afterward the audience mingled freely in the spacious fellowship room of Hudsonville PRC, enjoying tasty refreshments, good fellowship, edifying displays, and plenty of good books and literature. Tonight the Conference continues with a special pre-conference music (piano) program by Bryan Westra, a member of our SW PRC (6:45 p.m.). Then Prof.B.Gritters of our Seminary will deliver a speech on systematic HC preaching and Rev.C.Haak of Georgetown PRC on the HC's view of the Christian life as gratitude. In addition, tonight the winners of the HC Writing Contest will be announced and awarded - 15 total from 5 different categories. Once, again, a special night is planned and we hope that you are able to join us at this significant and stimulating event. But in case you cannot be there, tonight's session will also be live-streamed through Hudsonville's website. Make use of this tool too to join us in marking this historic anniversary! 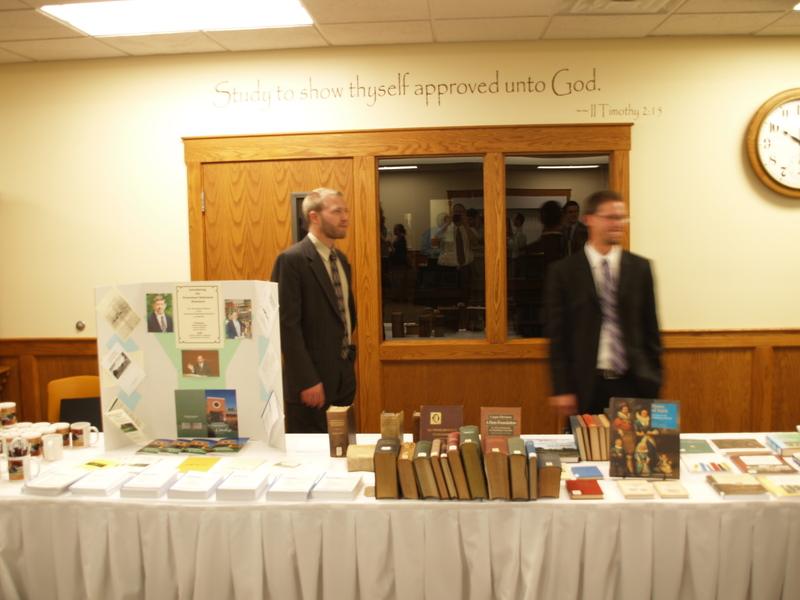 Below are a few more pictures taken at last night's event.